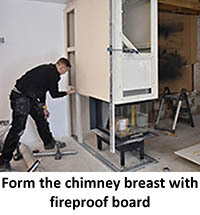 Planning ahead and having your fire installed, flue swept or fire serviced during the warmer and drier weather of summer is undoubtedly a good idea. 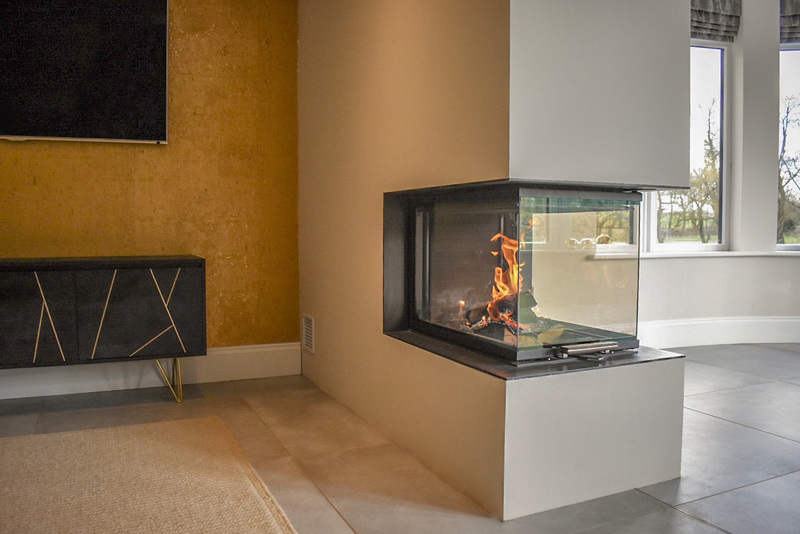 Why not get in touch with our expert installations team, who are all specialists in wood and gas fire installations and are always ready to answer your questions and queries. Alternatively, if you prefer the personal touch, we are more than happy for you to call in to our showroom at any time. The installations team here at Robeys consists of employed fitters, service engineers, coordinators and surveyors. 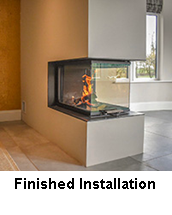 Our friendly team are fully qualified with specialist knowledge in wood and gas fire installations and they are ably supported by an installations department that has been running for over 25 years and with at least 50 years combined experience. Once you purchase from us, you will enjoy a quality product fitted to an unrivalled standard. We will be there to support you throughout the life of the stove and are always ready to take your call regarding servicing etc. Our in-house spares department will be happy to see you and give advice on anything you may need. CALL IN TO SEE US …. We are more than happy for you to call in to our showroom at any time or book ahead if you prefer. It will be really helpful if you could bring some information with you. This will help us speed up the process and help us give you a more accurate idea of what can be done. We can liaise with builders and/or designers if you need us to. NOTE: Scaffolding may be required and can be included in the quote but isn’t as costly as you may think. We adhere to current health and safety guidelines, not only to keep our fitters safe but to approach your property in a way that prevents unwanted damage. We also have our own easi-dec system which can sometimes provide the access we need. We will return the quotation for you to review via post or email. Once you have returned the ‘Acceptance of work’ form along with the initial deposit payment, we can book a date in the diary for installation of your appliance. Most installations take between 2-4 days, depending on the complexity. Robeys is a long established company and we pride ourselves on providing high quality installation service using the most suitable materials. We know you may find cheaper quotes but are they the same in detail? And will they provide the long length of service you expect from your stove? Feel free to come back to us with other genuine quotes and we will happily discuss this with you. On the morning of your installation day, our fitters will arrive with everything they need to get started on your installation. Of course anything you can do to clear the room will be a help, but our guys will bring plenty of dust sheets and protective flooring to keep things as clean as possible. Just pop over to our ‘Contact Us’ tab for details. SERVICE / SWEEP REQUEST FORM …. 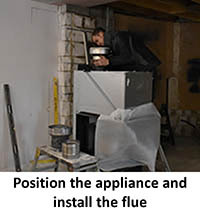 It’s no secret that regular maintenance of your stove and flue will ensure the best performance, longevity and safety of your appliance. At Robeys we can book you in for a service and/or sweep. We generally do this in the spring and summer to ensure that your appliance is fit and ready to be used at the start of the colder months. We currently recommend that the service and sweep is carried out annually so please fill out the contact form or give us a call to book your next service in. This is just a rough guide, factors such as the number of outside walls, the size of windows and whether they are double glazed, the age of the home etc., can all influence the heat requirement. Enter the room sizes in the boxes specified and then click the "Calculate" button. 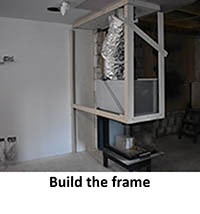 This gives an approximate output for use as an initial guide in selecting an appliance based on an outside temperature of -1°C and a room with average insulation. 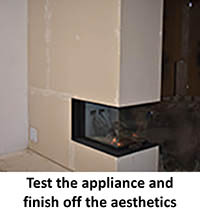 We suggest you use this as a guide only and the site visit will be the most accurate way to understand which stove is the most suitable.